On one of our days off, a few other students and I went to Tokyo Disneyland. Thanks to the hotel staff, we had very good directions and were able to get there quickly without any problems. On arrival we learned that the advertised price of 4800 Yen was only applicable to tickets bought online and so we had to pay the regular price of 5200 Yen, but it was worth it. I enjoyed my day there. It was nostalgic because it was exactly the same as Florida’s Disney World only a lot smaller. We split into two groups, the one I was in searched for rides. The first ride was a Star Wars ride in which we toured space with some turbulence. The llines were rediculously long, and we waited over two hours for the Haunted Mansion. The most disappointing ride was the Toon Rollercoaster because we waited in line for 40 minutes and the ride lasted all of 10 seconds. I thought there was more to it than that and just as I was anticipating the next drop, it’s over. So much for that one. Moving on, I had great experiences with the food there. When we first arrived we had the ice cream. Nothing special but it was very good. For lunch, we tried Mickey Mouse-shaped waffles. 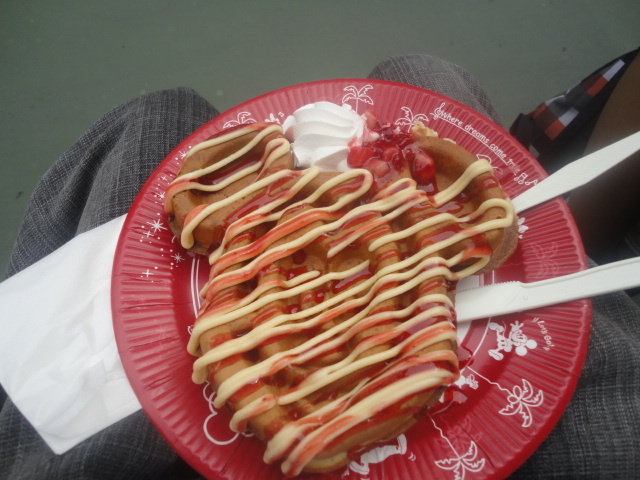 I ordered the waffle topped with strawberry and custard syrup, whip cream, and strawberries. It was very sweet and was one of my favorite foods in Japan. For dinner, I bought the All-American Hot Dog set, which was a hot dog, some fries, and a drink for 780 Ten. It, along with the rest of the trip, was a welcome dent in my wallet. 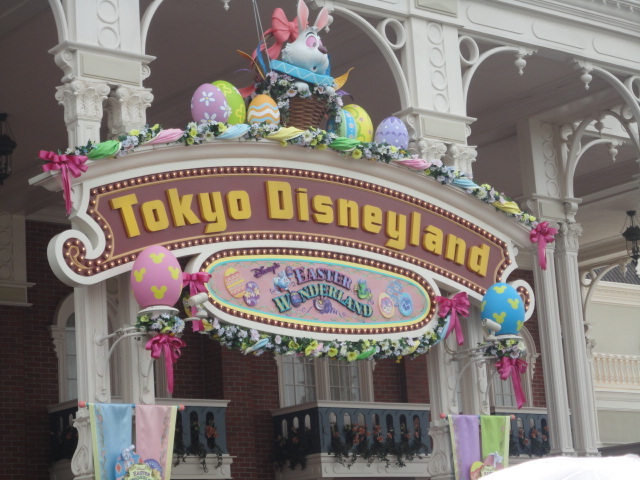 Other events included the Easter Parade (Disney has a Easter Event through June). 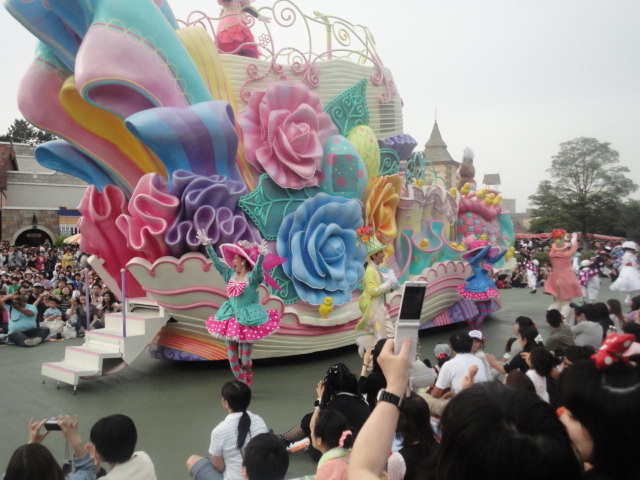 It was very lively and impressive with famous Disney characters on floats and dancers dancing around them. I regret I wasn’t able to get a picture of Mickey Mouse though. Overall it was a very pleasurable experience and I don’t regret turning down Mt. Fuji for Disney.